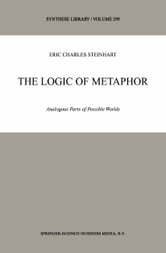 Metaphors and Logic Metaphors are among the most vigorous offspring of the creative mind; but their vitality springs from the fact that they are logical organisms in the ecology of l- guage. I aim to use logical techniques to analyze the meanings of metaphors. My goal here is to show how contemporary formal semantics can be extended to handle metaphorical utterances. 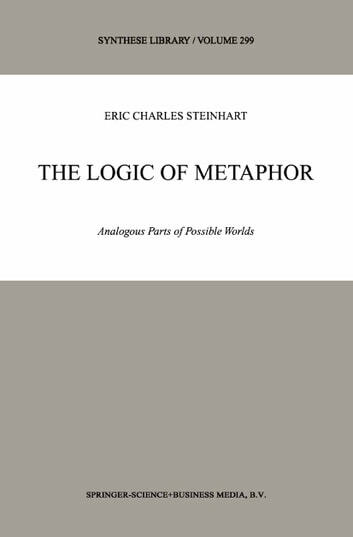 What distinguishes this work is that it focuses intensely on the logical aspects of metaphors. I stress the role of logic in the generation and int- pretation of metaphors. While I don't presuppose any formal training in logic, some familiarity with philosophical logic (the propositional calculus and the predicate c- culus) is helpful. Since my theory makes great use of the notion of structure, I refer to it as the structural theory of m etaphor (STM). STM is a semant ic theory of m etaphor : if STM is correct, then metaphors are cognitively meaningful and are n- trivially logically linked with truth. I aim to extend possible worlds semantics to handle metaphors. I'll argue that some sentences in natural languages like English have multiple meanings: "Juliet is the sun" has (at least) two meanings: the literal meaning "(Juliet is the sunkIT" and the metaphorical meaning "(Juliet is the sun)MET". Each meaning is a function from (possible) worlds to truth-values. I deny that these functions are identical; I deny that the metaphorical function is necessarily false or necessarily true.